‘Netflix and chill’ is no longer just a catchphrase, but almost a way of life for most millennials. The most popular media service provider in the world manages to attract new subscribers every day while keeping the existing ones hooked to the platform. 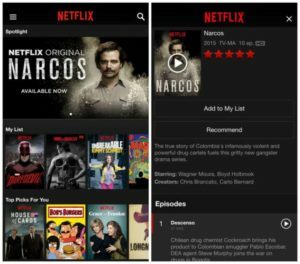 While the addictive content is no doubt the brand’s USP, there is another aspect that has helped Netflix reach where it is today – a brilliant marketing strategy. There is indeed a lot that one can learn from Netflix regarding their approach towards content and keeping the audience engaged. The brand is a great example of smart marketing by leveraging the power of its product, Big Data and social media. In 2018, Netflix planned to spend $ 13 billion only on original content. Today, one can use ‘originality’ as a synonym for Netflix. The brand’s greatest strength is the consistently good quality shows that automatically become binge-worthy. 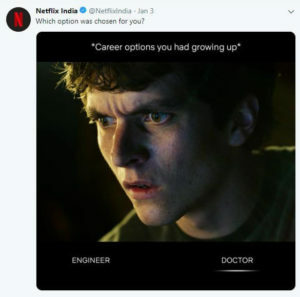 On their app feed, almost every alternative option is a Netflix original. The audience no doubt is loving watching something new, and is even asking for more. Shows like House of Cards, The Crown, Stranger Things, Mirzapur, Orange is the New Black have garnered a lot of positive response. In addition to that, Netflix also has the popular old shows and movies that people enjoy time and again. The takeaway in this regard for other brands would be that you can hardly go wrong if your content is fresh and original and investing in it is be a smart choice, always. 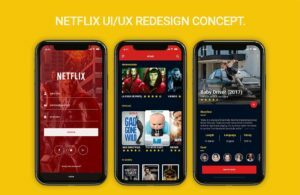 Netflix has more than 130 million subscribers worldwide – and along with that comes a huge wealth of data that they continuously analyze to improve their user experience. 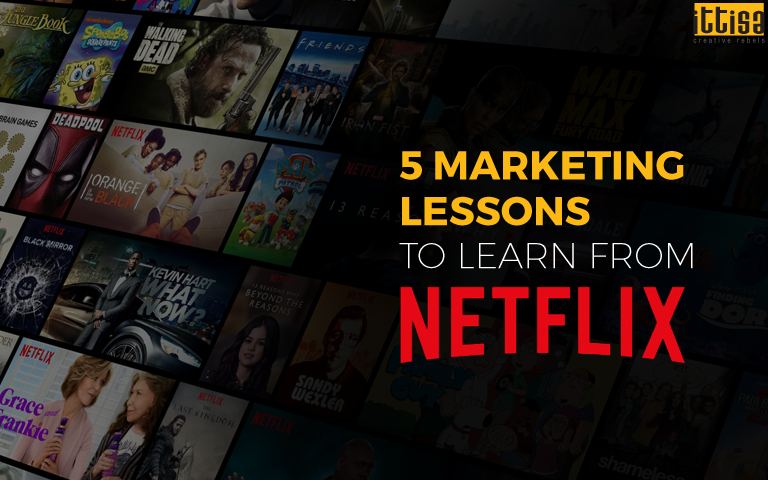 Using data to the best potential is the next marketing lesson to take from Netflix. The brand uses its data to analyse browsing behaviour and the type of content a subscriber likes and predicts their behaviour for creating a better experience. Once they understand what the audience is interested in, suggestions are shown accordingly. This strategy helps Netflix to retain their fans for a longer time on the platform. For example, Netflix normally brings out 1 or 2 trailers when they are about to launch a new series. However, in the case of House of Cards, they published 10 different trailers and recommended it to people based on their previous viewing history. This was a brilliant step of using data to guide marketing for more engagement. An important reason why social media channels like Facebook, Twitter or Instagram work so great for brands is the ability to have two-way communication with followers. And Netflix – like a boss – is showing everyone exactly how to do it. They do not think about ‘playing it safe’ on social media, instead, the tone is friendly and casual, even a bit absurd at times. Keeping up with trends, the brand has come up with witty memes about their own shows – and the result is everyone is talking about it. Given the popularity Netflix enjoys online, the strategy is clearly working. Positioning the brand as a friend to its followers has been an unconventional marketing strategy for Netflix – thus creating a sense of familiarity and closeness with the brand. The lesson to take away from here is at times, taking the road less travelled can take you to a better destination. In other viewing platforms, scrolling through the shows/films categories often becomes a tedious job, but for Netflix – it’s just a piece of cake. The unified interface, that works well on both TV and mobile makes it so much easier for the audience to know what’s in store. The more comfortable people are while browsing, the more time they are likely to spend on the app. What started as a rental DVD system is now the world’s multimedia powerhouse. This is indeed a great example of what innovations and new experiments can do for a brand. 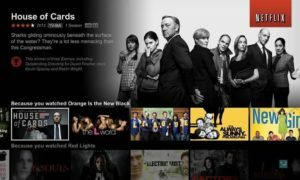 Previously, subscribers had small complaints about Netflix’s user experience, where it was believed that the process could be sped up. Soon after, Netflix updated their UX that not only enabled faster scrolling but also made it possible to showcase more show titles and categories. The lesson to take away from here is that instead of positioning your brand in a comfort zone because something is working in your favour, it is better to keep innovating and improvising in order to be successful. When it comes to marketing, Netflix seems to be doing everything right. Through advertising, cross-selling, sharing content along with a great marketing strategy, it has been able to keep the audience engaged thoroughly – which is a great takeway for other brands. To know more about how the right strategy can help your brand, leave us a message and we’ll get back to you.